“Noah” is not just famous for building the ark to save animals from the global flood, but also for his passion for wine. They say he invented it after first experimenting with vine cultivation. According to the Bible he also become raucously drunk (the first ever recorded case). This is why we have decided to name this series of wine accessories after the biblical patriarch who is said to have lived to the age of 950, spectacularly trouncing beer drinkers, who as suggested by the popular adage, live “merely” 100 years! 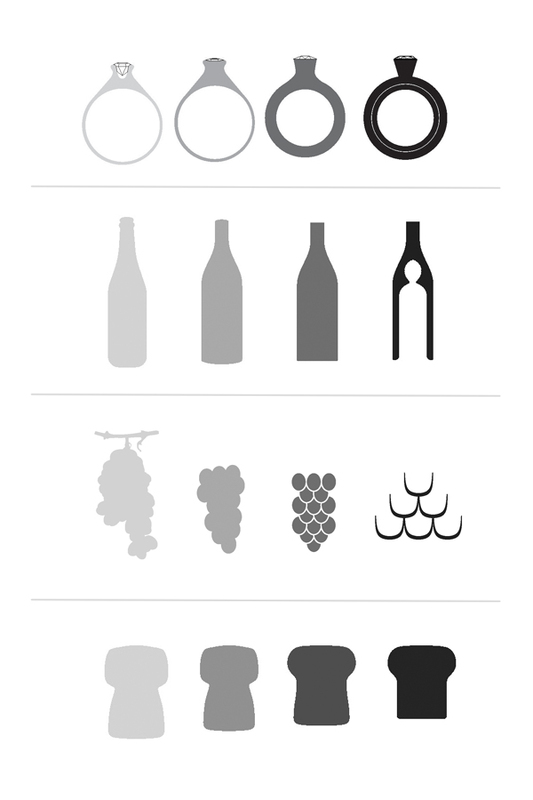 We need to store, open, pour, and preserve our wine. There is a piece in the “Noè” set for each of these tasks. 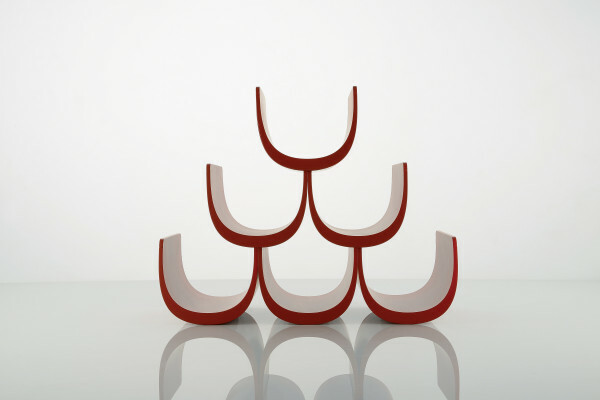 The special modular structure made of polyamide, which resembles an upside down bunch of grapes, is ideal for the convenient storage of your bottles. 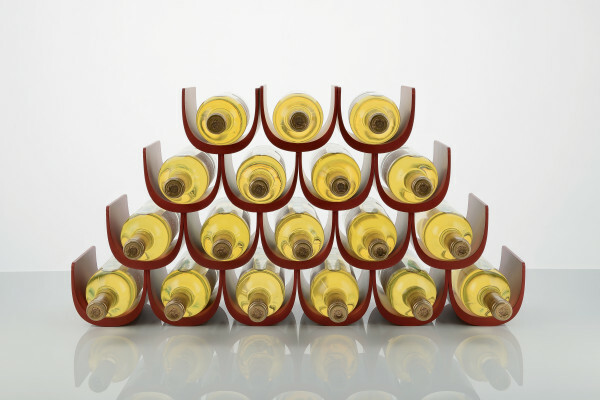 The modular aspect of the design means this bottle holder can expand vertically and horizontally to accommodate your growing wine collection. 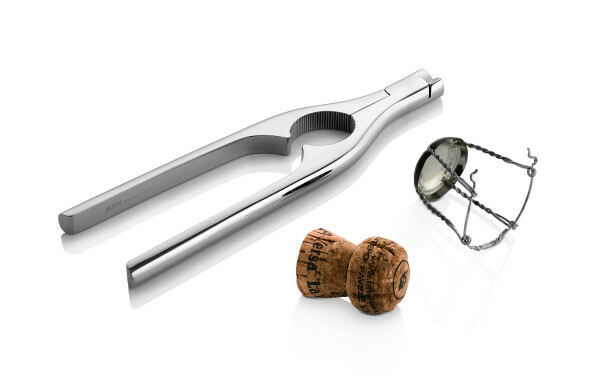 The Champagne opener, resembling the shape of a bottle, cuts the wire cage that holds the cork in place. If a little piece should get stuck in the neck you can “pinch” the cork to release it. 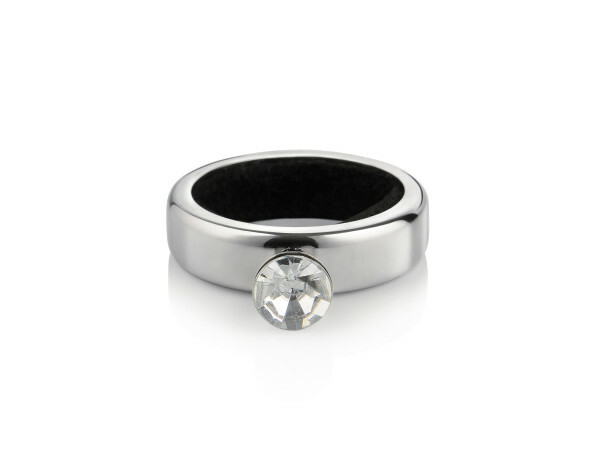 The inevitable drop that drips from the neck of the bottle, that despoiler of immaculate tablecloths, can be stopped in its tracks with a Drop ring stop, crowned by a sparkling solitaire. 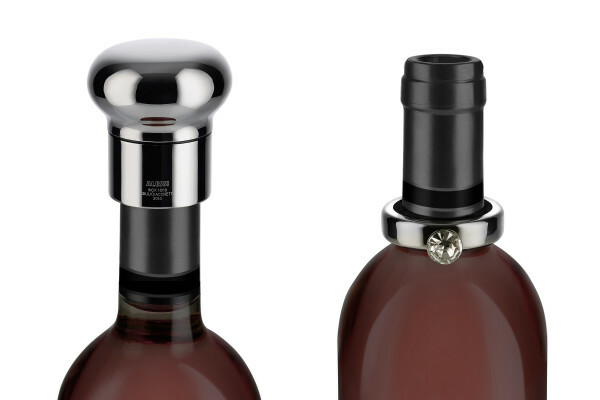 Finally, a pressure Cap can be used to preserve the organoleptic qualities of the wine by hermetically sealing the bottle and its contents after uncorking. 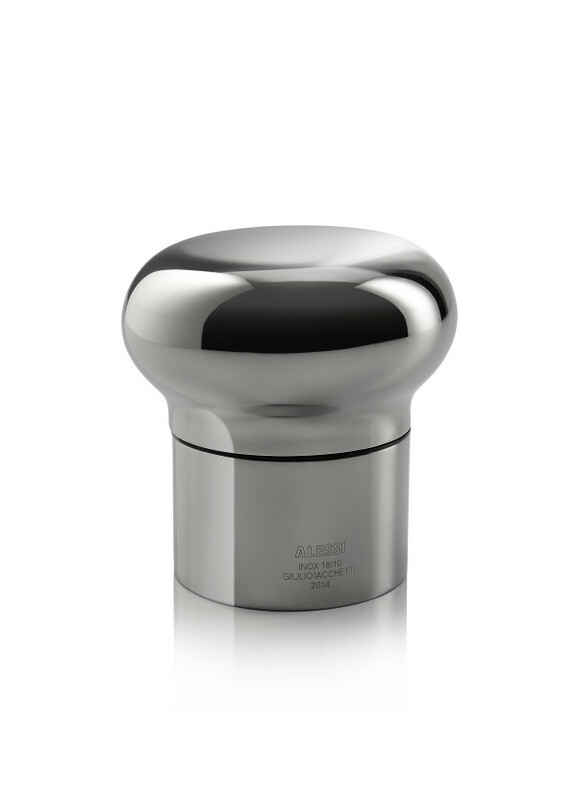 Its design is reminiscent of the classic cork.